ComputerXplorers provides innovative age-appropriate fun weekly computing classes for pre-school children. It's an all-inclusive package providing our own trained technology tutor, the best regularly updated software, the hardware (we bring our own laptops and ipads or tablets), innovative peripherals such as programmable toys and, of course, our own unique lesson plans. Computer and technology classes are the ideal complement to a nursery's activities and add value to the service a nursery provides to its parents. Children receive excellent input from their trained DBS-checked tutor in very small groups. The perfect way to enhance their technical and motor skills while improving their social skills with team work and collaboration and essential skills such as sequencing, problem solving and critical thinking. 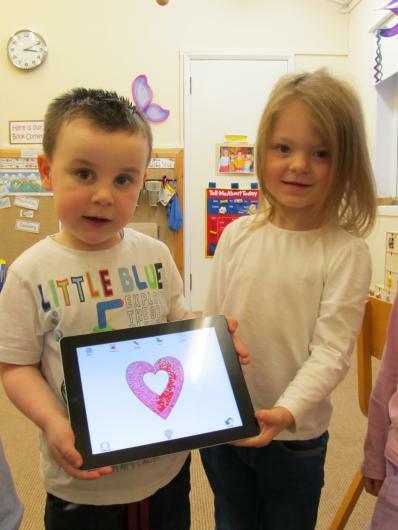 As an organisation we have been providing technology classes to preschool children for over 30 years! It's where we started. With all of that experience we really understand how preschoolers learn. ComputerXplorers is the perfect partner to help you keep in line with the EYFS (Early Years Foundation Stage) framework and ensure your pre-school stays at the front of the field. Talk to us now about introducing ComputerXplorers to your nursery. Our educational technology experts design computing and technology classes that challenge pre-school children yet set realistic expectations for performance. By understanding the latest technology trends, the demands of the EYFS and what children should be able to accomplish, we can deliver sessions that give children the best computing experience, a terrific headstart and enormous fun. ComputerXplorers' approach to technology exploration for pre-school children ignites the child's curiosity and enthusiasm for learning and the world around them - we prepare children for the future. Themes covered across the ComputerXplorers programme for pre-schoolers include science, music, literacy, numeracy, creative arts and, of course, technology. We provide trained instructors, lesson plans, the software and extraordinary technology peripherals created especially for pre-school children and EYFS. Our programmes can be tailored to a nursery's individual requirements and are always fun, educational and engaging. Our classes for pre-school children are designed to help you meet and exceed the needs of the EYFS Learning and Development requirements in your pre-school setting. They have been created to ignite children's curiosity and enthusiasm for learning. ComputerXplorers children develop a confidence and enthusiasm for technology which will stay with them as they progress. But it's not only about the technology or computing skills. The additional benefits of the ComputerXplorers programme for pre-schools - both developmental and educational - will keep them a step ahead. Themes covered across the programme include science, music, literacy, numeracy, creative arts and, of course, technology. Coordination, control and movement improve as children manipulate the mouse and work with a variety of peripherals. Emerging social skills are nurtured in our small groups with turn-taking and collaboration. Concentration increases as children's confidence in their own abilities grows. A wide range of our computing activities encourage children to link sounds and letters and develop pre-phonic skills. Children are highly engaged in the fun, educational activities. Many ComputerXplorers activities enable the children to develop and improve their skills in counting as well as working with shapes, space and measures. We use a range of computing activities and technology to explore 'real world' topics including our bodies, 'myself and my family', nature and the environment etc. Our technology allows many opportunities to simulate the outside world. Creativity and imagination go hand in hand with all ComputerXplorers classes. 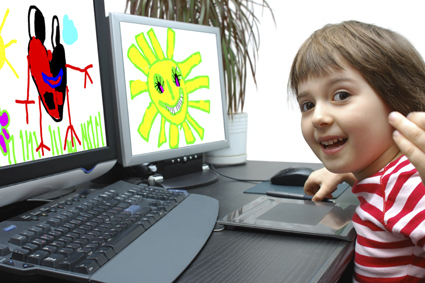 Technology provides the perfect medium for preschool children to express themselves whether through a wide range of graphic arts programmes or our music creation class or even movie-making. Even the youngest of children can become creators of technology and not simply passive consumers - it's a great start!